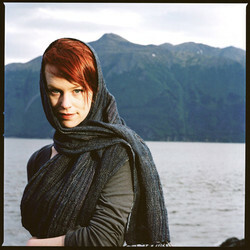 Marian Call is a trained composer and a spunky self-taught singer based out of Anchorage, Alaska. Her songs are eclectic and diverse, funny and light on their feet, powerfully honest, and grounded in the human experience. Call's compositions are half study and calculation, half improvisational instinct, and always full of unexpected musical twists and turns. She has written pieces by commission for film projects and events, and she has been known to write songs on dares or to surprise devoted fans. Her live shows have been loudly applauded nationwide in homes, quiet coffee shops, noisy bars, churches, radio stations, bookstores, and concert halls, in and out of Alaska. In only eight months she went from a relative unknown to playing the main stage at several of Alaska's summer festivals. Marian released her first two albums plus fourteen singles in only fourteen months during 2007 and 2008. She is nearing completion on a new two-volume project titled Something Fierce. Marian was born into a family of musicians and artists, and she was raised on a steady diet of Bach, Beethoven, Joni Mitchell, Tower of Power, and Ogden Nash in her hometown, Gig Harbor, Washington. Over twenty-odd years she has performed with chamber choirs, jazz combos, early music groups, rock bands, a gospel choir, and experimental music ensembles, and all of these influences (and more) meet and mingle in her own writing. She completed her bachelor's degree in composition and vocal performance at Stanford University in 2004. After graduation, she spent two years pouring coffee, waiting tables, and listening to good music in Anchorage coffee shops, slowly learning about the craft of songwriting through osmosis and eventually through practice. Marian plans to travel and tour as much as possible, including the upcoming 49>50 fan-coordinated tour of the entire United States, but she remains committed to the development of a great arts scene in Anchorage. Marian looks forward to collaborating with friendly musicians, writers, visual artists, and filmmakers from all backgrounds.